Blackstreet was an American R&B group founded in 1994 by Teddy Riley, a New Jack Swing pioneer known for his work as a member of Guy. The band members were: Teddy Riley, Chauncey Hannibal, Eric Williams, and Terrell Philips (and formerly Joe Stonestreet, Levi Little, David Hollister, and Mark Middleton). 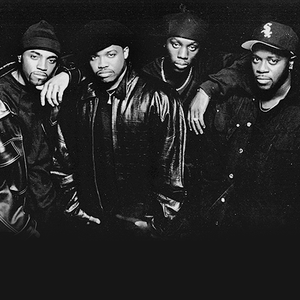 Their debut album, Blackstreet, was a moderate success due to the singles "Booti Call" and "Before I Let You Go", both Top 40 hits ("Before" hit the Top 10).